Rainawari. 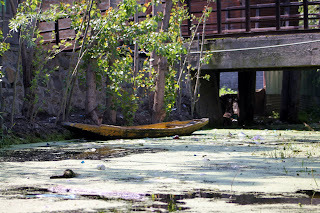 The back canals and waterways of Dal Lake. 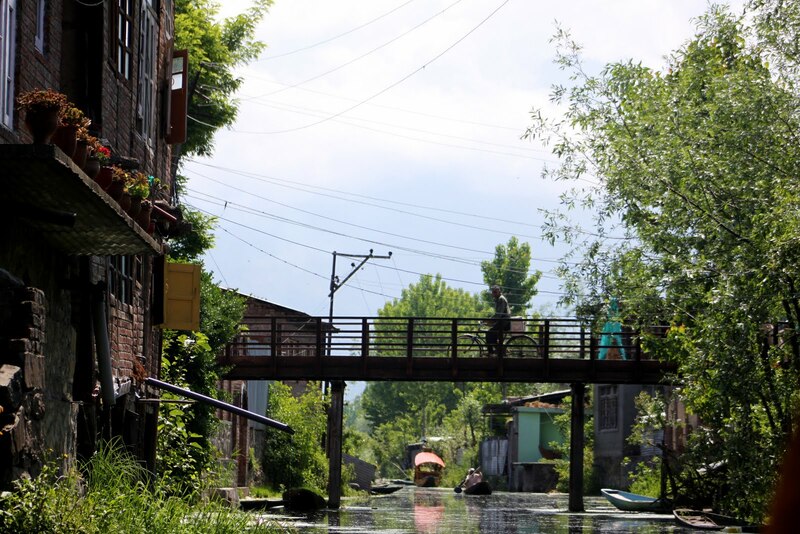 The "Venice of Asia". The perfect late morning shikara tour. 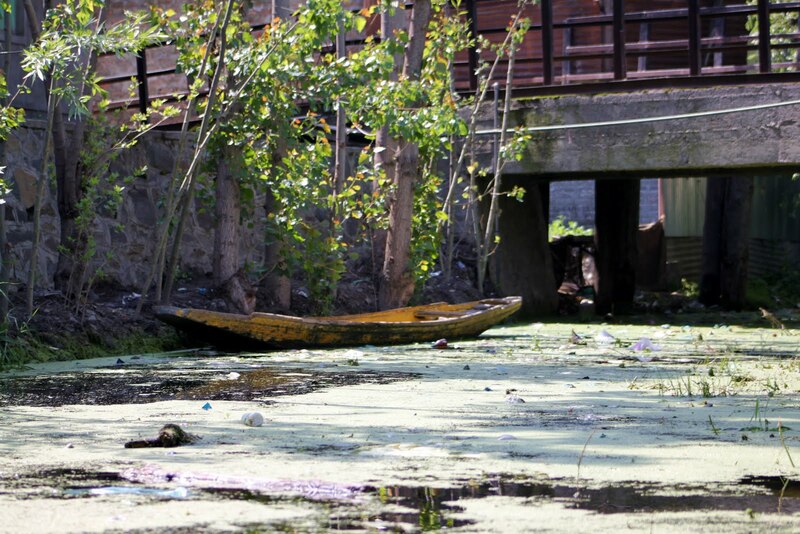 I cannot find evidence for when this part of Dal Lake was built up. With a bridge that claims to have come from Mughal times. 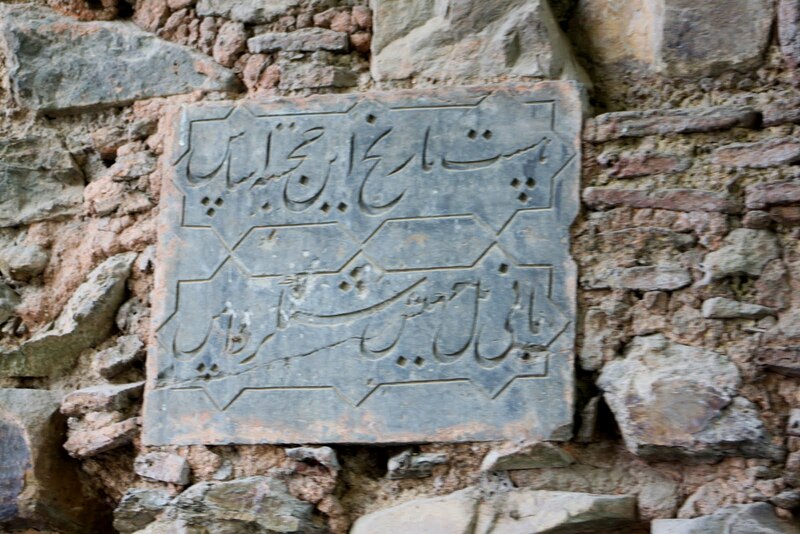 With an old inscription on it. I don't know what it says, though(can anyone interpret that for me?). I do know that it's a beautiful part of the lake. 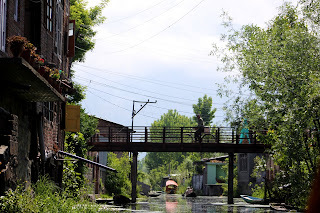 The canals are full of old wooden buildings. 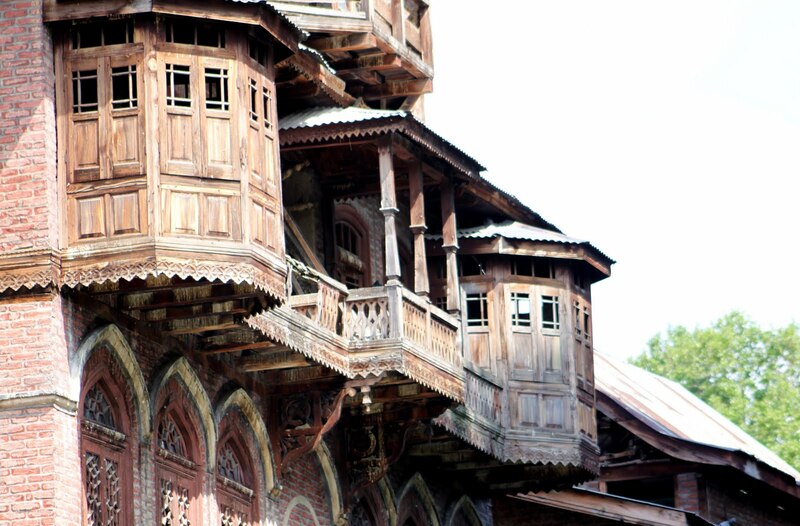 Their carvings and windows are full of character. 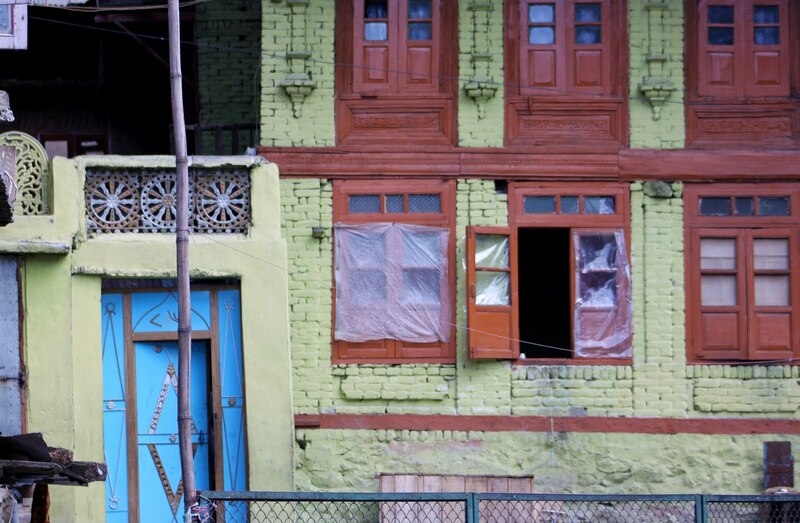 It's a very Kashmiri sight. What's sad, though, is that much of the lake is a mess of pollution. The plastic bags floating in the water do not add any attractiveness. 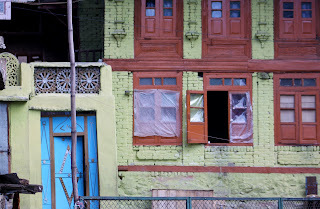 What I would hope is that the recent and ongoing conservation efforts can both clean things up and maintain its historical value and beauty, to preserve a way of life that is so very unique.